Human Rights Watch has uncovered some of the most damning evidence yet against police-involved killings in the host state of the 2016 Summer Olympics. Tension and violence between the police and communities of color is a well-documented problem in the United States, but it’s by no means uniquely American. A new report by Human Rights Watch released this week reveals the profound extent to which law enforcement operates with impunity in the state of Rio de Janeiro in Brazil, where military police are estimated to have killed more than 8,000 people over the past decade. Of those killed at the hands of police in Rio, an estimated 70 percent were black. The report outlines a bleak reality in one of Brazil’s most populous regions and the soon-to-be host city of the Olympic Games. Through extensive interviews with police officers, law enforcement officials, and witnesses, as well as public records and autopsy reports, Human Rights Watch was able to identify 64 cases where credible evidence exists that police officers covered up unlawful killings. In those cases, 116 people were killed, including at least 24 children. The report also finds that the problem goes far beyond these cases; local officials interviewed by HRW told the organization that many of the “shootouts” logged by police in recent years were in fact executions. In a majority of the 64 cases we examined, the officers’ accounts of the shootings appeared incompatible with the autopsies or other forensic reports. In at least 20 cases, the autopsy reports detailed gunshot residue patterns consistent with the victim having been shot at point blank range. In other cases, witness testimony or other evidence indicated there was no shootout. In June 2015, for example, military police reported that they had injured a man in a shootout in the Morro da Coroa favela. The police took the man to the hospital, where he died. Yet an autopsy showed he had been shot seven times, at least once at point-blank range. And a witness at the scene of the shooting reported having seen the victim injured but alive on the ground, hearing a single burst of gunfire shortly after the police arrived, and three hours later seeing police take the victim’s lifeless body away. The personal accounts of officers tell a similar story. Several of the 30 police officers interviewed admitted to being complicit in or directly participating in extrajudicial killings. One described setting up an ambush for gang members with fellow police officers, gunning them down as they fled and then planting weapons on them as they lay on the ground, injured or dying. “The objective from the beginning of that ambush was to kill, not to arrest,” says Muñoz, who conducted interviews for this report. That officer also described participating in torture and an abduction, as well as taking bribes from criminals. Race, and the history of race relations in Brazil, play a critical role in determining who suffers the brunt of this violence. Like the United States, Brazil continues to grapple with its long history of slavery, which wasn’t abolished until 1888, later than any other country in the Americas. Many black people in the country live in concentrated pockets of poverty, making up the majority of the population in the unincorporated, informal and often crime-ridden neighborhoods known as favelas. Those neighborhoods are often the focus of brutal policing tactics. Just before the World Cup in 2014, in one of several cases that has since become a major news story in Brazil, three black teenagers in Rio were abducted by military police. They were taken to a remote area above the city where two of them were fatally shot, one in the head, the other in the leg and back. One of the three managed to escape. The police left their patrol cameras on, and can be heard on video berating the boys before murdering two of them. All three were 14 years old. Violence is the leading cause of death among black males in Brazil, shrinking their life expectancy more than ten years below the country’s average. At a time when lethal violence against whites has been going steadily down in Brazil, it has practically doubled for blacks over the last decade, says Muggah. 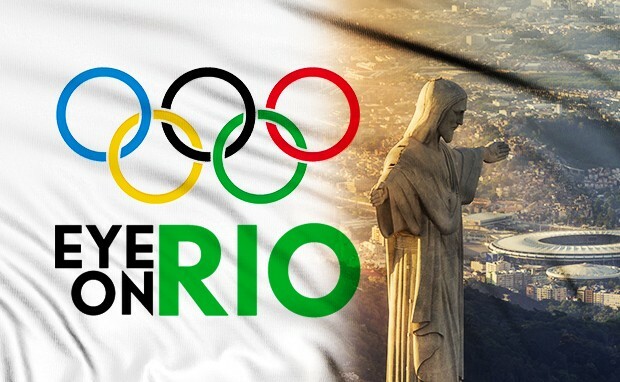 With the 2016 Summer Olympic Games heading shortly to Rio, a massive influx of athletes and tourists from all over the world will present a similarly massive logistical and security challenge for the struggling city. Areas near the games and expressways will be patrolled by nearly seven times the usual number of military police officers, in addition to private security, unarmed guards, and officers from law enforcement agencies throughout the country. Despite all that extra security, Muggah says the poorest areas of the city could actually experience a dearth of policing resources during the games, as security resources are diverted to Olympic venues and tourist areas. Amarildo de Souza was brought in for questioning by UPP officers, and never heard from again. Before the most recent uptick in police-involved killings over the last 18 to 24 months, the region experienced several years of declining police violence thanks to a real attempt to foster community trust through a program called Pacifying Police Units (UPPs). The police also created a prosecutorial unit specifically meant to investigate police and prison abuses, called the GAESP. The UPPs install themselves directly inside favelas, where gang and drug cartel activity is most rampant. Their constant presence initially drove down crime significantly in these areas, and is still functioning that way in some favelas. But rising mistrust of the police has largely diminished the credibility of the UPPs, turning them into an occupying force that is perceived as a real source of danger, even if they do drive down gang-related crime. Muggah traces the unraveling of the program to a single defining event in Rio: the 2013 disappearance of Amarildo de Souza, a 43-year-old bricklayer who lived in the Rocinha favela. De Souza was brought in for questioning about drug trafficking by UPP officers, and never heard from again. UPP cameras showed him entering the facility, but malfunctioned during the time he was supposedly let go. His disappearance sparked widespread outrage in the Rocinha favela and throughout Rio. “This was a sort of inflection point that set off an electric reaction. It confirmed to many people that [the UPP program] was a smokescreen, and generated waves of anxiety and frustration that signaled the turning of society against the pacification program,” Muggah says. That event, as well as a spate of other killings, especially those of children by stray bullets or during raids, have further increased mistrust in police and general crime and violence in the city. Rio’s suffering under a prolonged economic recession has deepened that pattern. Meanwhile, according to Human Rights Watch’s report, the good law enforcement officers in Rio pay a steep price for the crimes of their peers.